Sean’s national litigation practice focuses on business-critical disputes. He acts for corporate clients in complex oil and gas litigation, environmental matters, regulatory investigations, class action defence and product liability actions. Additionally, Sean has considerable experience representing major resource project proponents, corporate taxpayers, regulated industries and government in constitutional challenges, appeals and judicial review of ministerial and tribunal decisions. These cases often involve stay or injunction applications, the duty to consult Indigenous peoples, and novel legal issues. Sean regularly appears in courts across Canada, including the Supreme Court of Canada, the Alberta Court of Appeal, the Federal Court of Appeal, the British Columbia Court of Appeal, the Alberta Court of Queen’s Bench, the British Columbia Supreme Court and the Manitoba Court of Queen’s Bench. In addition to his corporate and commercial practice, Sean is active in pro bono, public interest advocacy. When not in court, Sean works with clients proactively to identify and mitigate risks to their business. 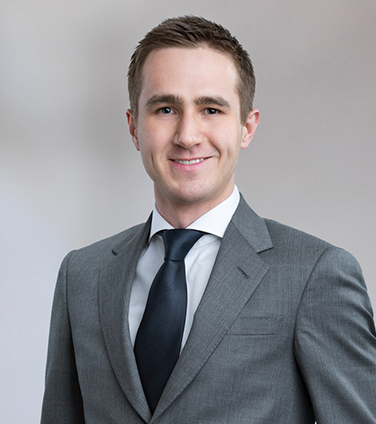 Sean clerked at the Alberta Court of Queen’s Bench and has otherwise spent his entire legal career at Osler, joining as a summer student in 2011. Representing Trans Mountain Pipeline ULC in challenges to the federal and provincial approvals of the Trans Mountain Expansion Project (the “Project”), including appeals, judicial reviews, and injunctions at the Federal Court of Appeal,British Columbia Supreme Court, British Columbia Court of Appeal (“BCCA”) and leave to appeal to the Supreme Court of Canada. Representation to date also includes successful constitutional motions at the National Energy Board (“NEB”) regarding City of Burnaby municipal permits and a constitutional reference proceeding at the BCCA . Represented Encana Corporation in relation to court and arbitration proceedings related to a $500 million investment by Toyota Tsusho Wheatland Inc. in Alberta gas properties. Represented Murphy Oil in respect of a judicial review and statutory appeal of decisions taken by the Newfoundland and Labrador Minister of Finance under the Oﬀshore Area Corporate Income Tax Act.. Representing Bausch Health in respect of a product liability class action commenced in British Columbia. Successfully defended NOVA Gas Transmission Ltd. before the Federal Court of Appeal with respect to two motions for leave to judicially review a decision of the Governor in Council taken under section 52 of the National Energy Board Act approving the North Montney Mainline pipeline project. Acted for Shell Canada Limited before the Alberta Court of Appeal and in leave to appeal proceedings to the Supreme Court of Canada in the successful defence of a statutory appeal by O’Chiese First Nation of regulatory permitting of natural resource projects granted by the Alberta Energy Regulator. Successfully represented the Toronto Dominion Bank before the British Columbia Court of Appeal in a judicial review and statutory appeal of decisions taken by the British Columbia Commissioner of Income Tax and the Minister of Finance in respect of an annual corporate tax return. Represented TransAlta Corporation with respect to its defence in the first contested enforcement proceeding brought by the Market Surveillance Administrator of Alberta, which included an oral hearing before the Alberta Utilities Commission. Represented a financial advisory services firm in a confidential arbitration arising from a unanimous shareholders agreement.